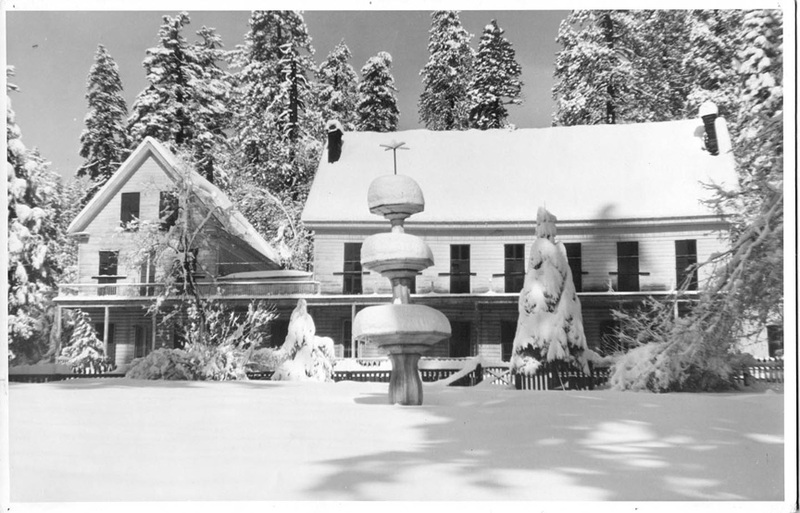 When the Blagen Mill and Linebaugh Logging came to White Pines in 1938 and 1939, at least some of those who could afford it, stayed at the Big Trees Hotel. We’ve had a number of people connected to that time ask us about a photo of the hotel which burned in the mid 1940’s. Here are some of the photos of the hotel that we have. I so enjoyed these pictures; especially the snow one, since photography is one of my hobbies, the snow one is superb. That FOUNTAIN!!!! I remember great community dances held in the Recreation Hall made of logs at Big Trees. A wonderful wood dance floor. 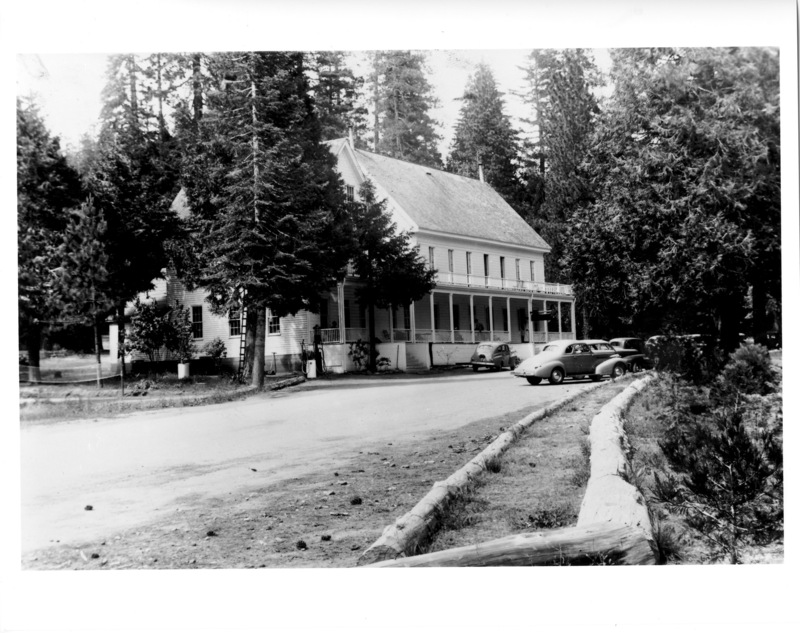 When we moved our office from what is currently the visitor center to the Whiteside residence at Calaveras Big Trees State Park I could look out the front door of my office and see the site where the Big Trees Hotel stood. 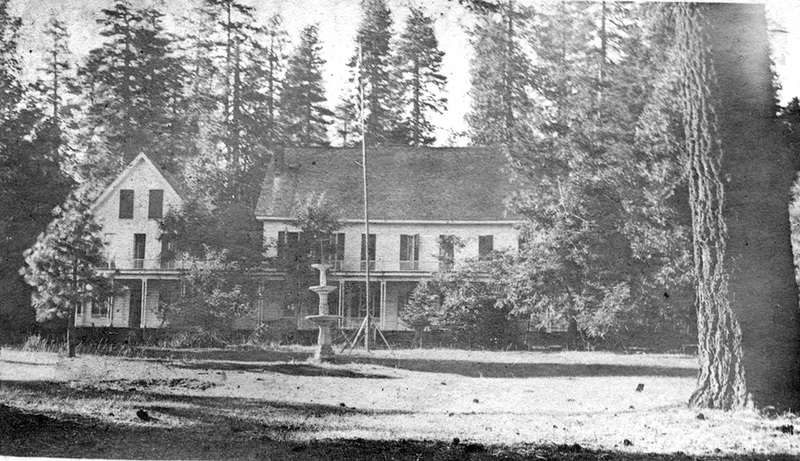 There was a plum tree that I think was in a picture of the hotel before it burned down. It bloomed every spring but the raccoons got to the fruit before it could ever get ripe. Sometimes I walked over there during my lunch hour and there were still little bits of melted glass and junk in the dirt. Local people would tell me about the post office that was in the hotel and they said there had been a little school house on past the parking area.